Will Boat Clean Plus attack Strata Glass? 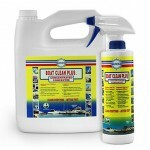 The run off or rinse from Boat Clean Plus will not attack or harm Strata Glass or any other surface. 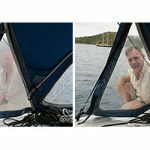 It’s a water based, Free Rinsing product so that when you are done cleaning you can rinse all traces of the cleaner and dirt off your Bimini top. When it rains the only run off will be water, pollution from the sky and any dirt that may be on your top. We recommend Clear View for protecting you Strata Glass against the ongoing run off as well as UV. 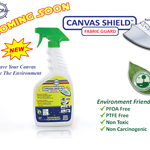 Regular use of the Clear View protector will increase the life of your windows.